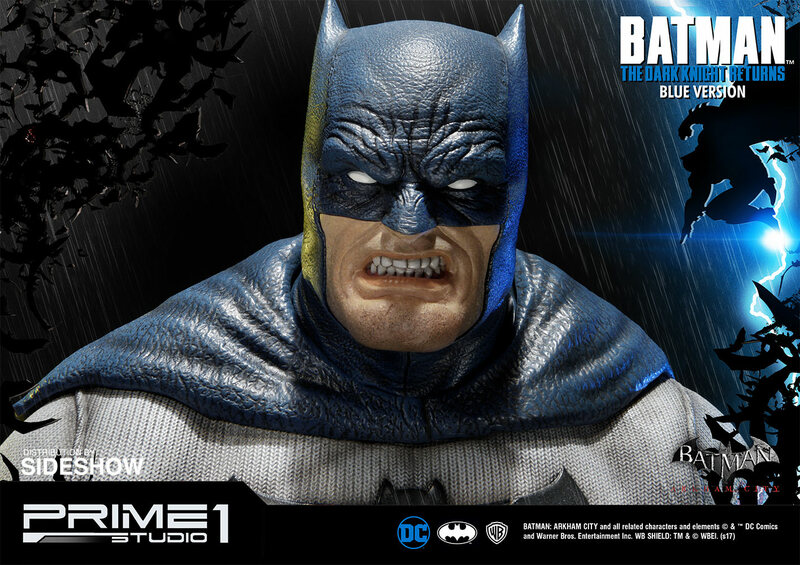 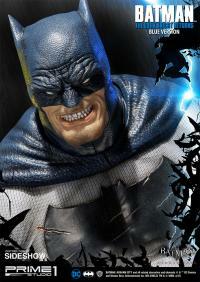 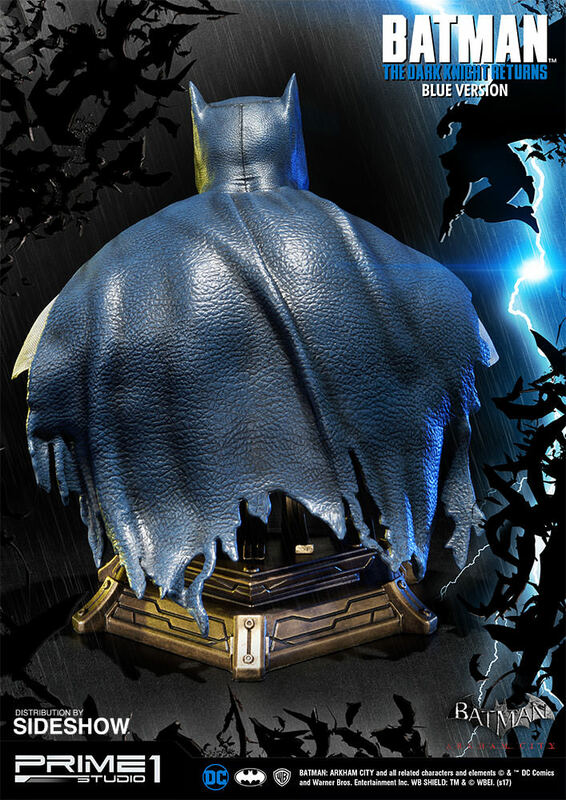 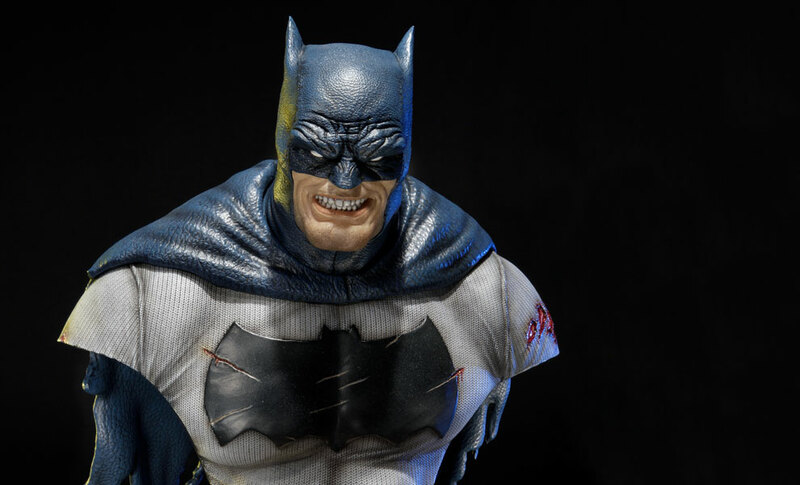 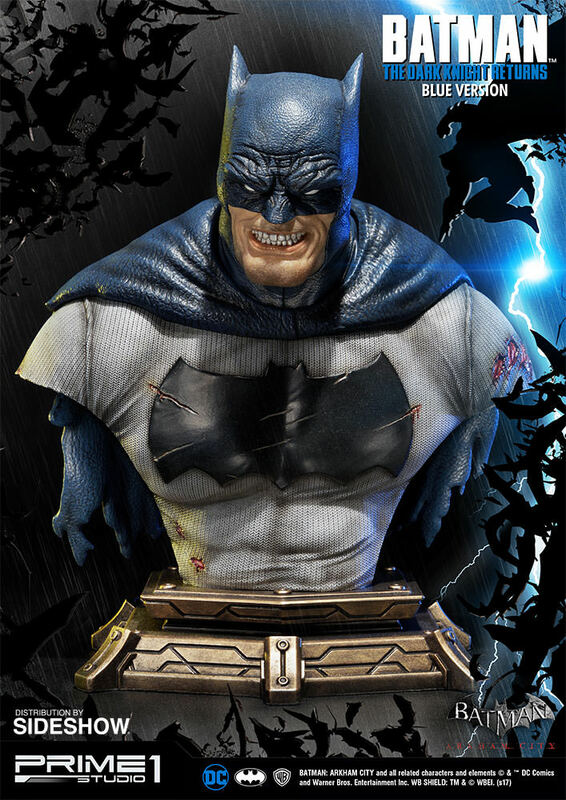 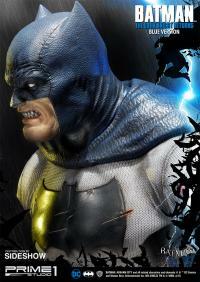 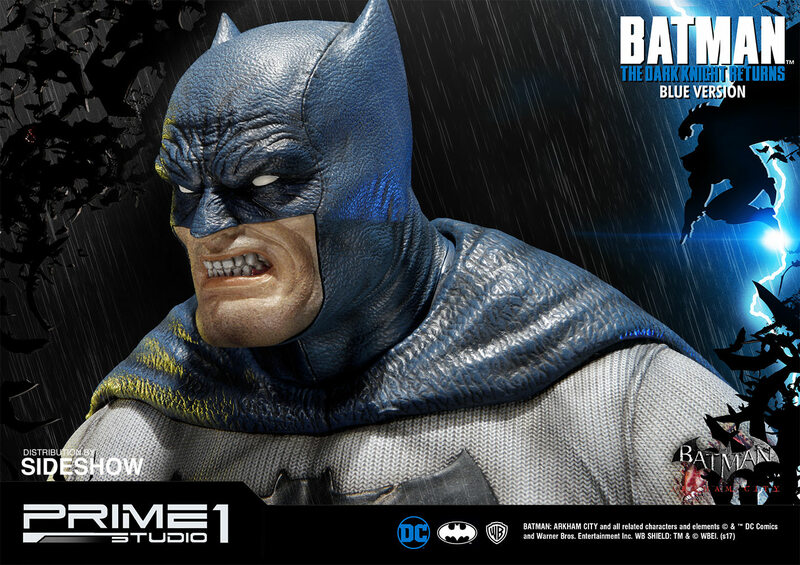 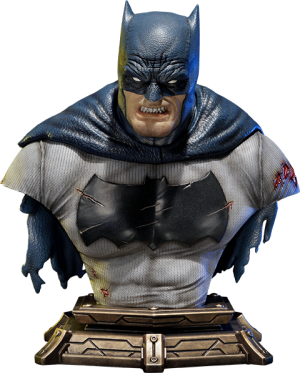 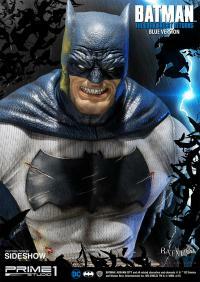 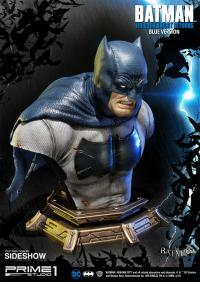 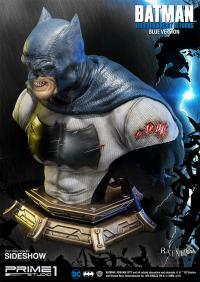 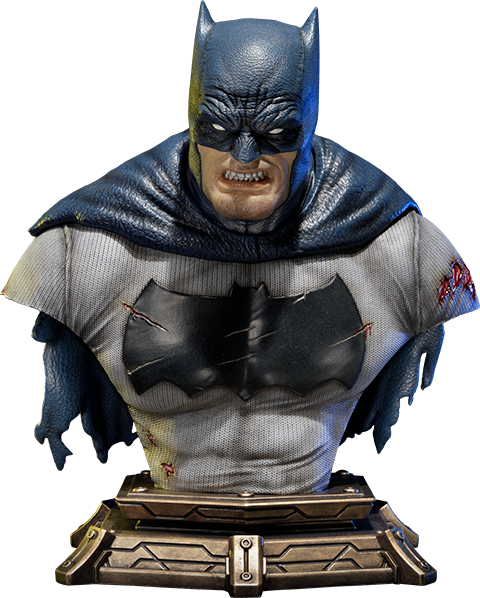 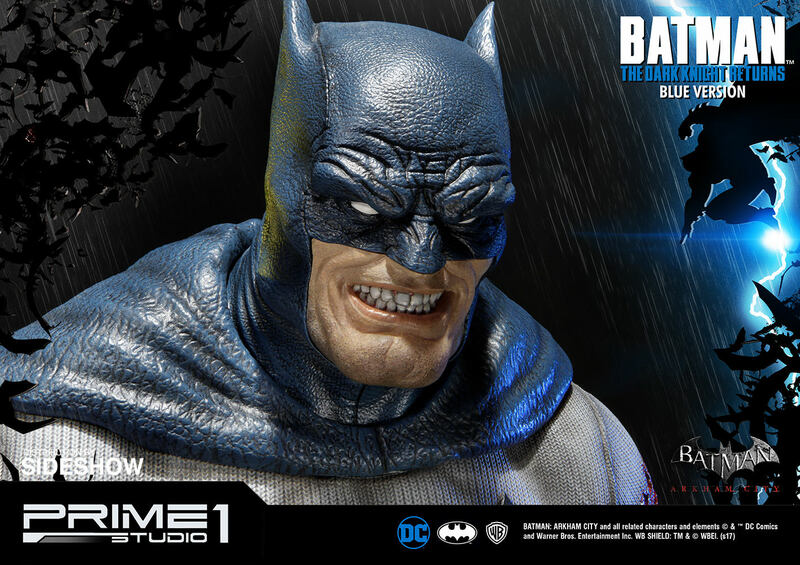 To celebrate one of the most influential stories ever told in comics, Sideshow and Prime 1 Studio are proud to present The Dark Knight Returns Batman (Blue Version) Bust convention exclusive. Frank Miller completely reinvents the legend of Batman in this saga. Forced to take action, the Dark Knight returns in a blaze of fury, taking on a whole new generation of criminals and matching their level of violence. 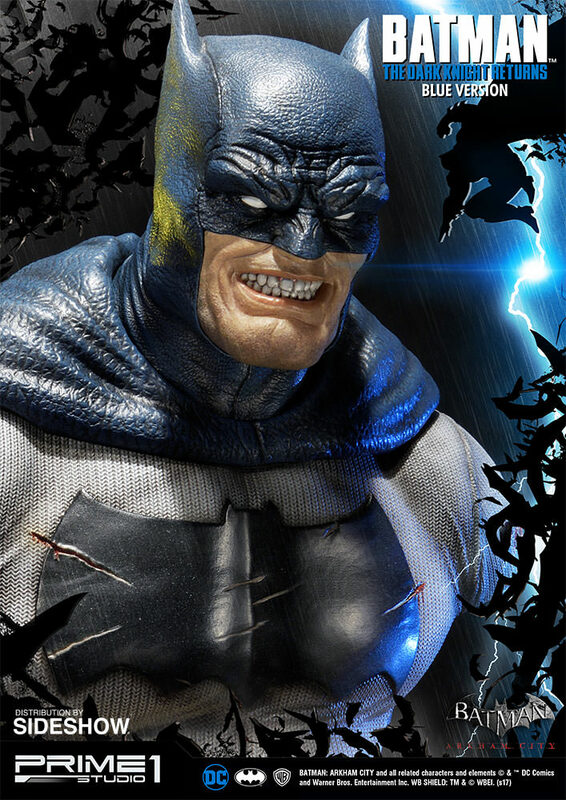 This Convention Exclusive bust is limited to 500 pieces worldwide. 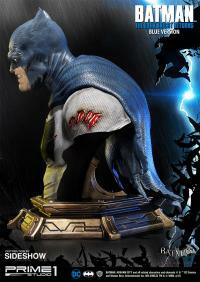 I just received my Dark Knight Returns Premium Bust and I'm BLOWN AWAY by its AWESOMENESS!!! Gonna make me a Dark Knight Returns Sandwich. This bust will serve as the MEAT between my Dark Knight Returns Exclusive and Collector Editions.